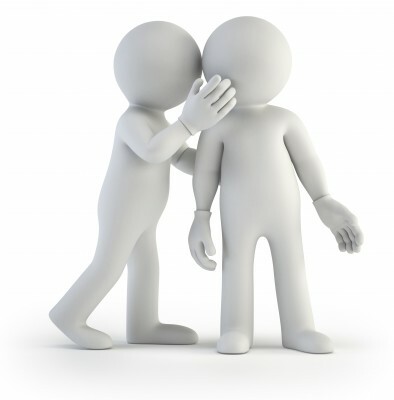 Since Kate at One Flesh Marriage offered her post “10 Confessions of a Marriage Blogging Wife,” I’ve been itching to offer up my own true confessions. This one makes #1 hard for me. I don’t like doing anything half way. The fact that I don’t have the time I would like to research, optimize and edit each post causes me no end of frustration. I almost always eventually catch my mistakes, but it is almost always after the post has been seen by 1,000+ people. And I cringe every time. Truth be told, I had no idea what I was getting into when I started this blog a little over three years ago. I thought to myself, “I like to write. I have a passion for marriage. How hard can this be?” It didn’t take me long to find out that doing this well takes much more time and energy than a full-time employed person can possibly give it. Still, I write on. It’s been especially difficult lately now that my “day job” has significantly encroached into my blogging schedule, which is why my last post was more than two weeks ago. See also #2. Jenni and I have formed some wonderful friendships with fellow marriage bloggers. These relationships with others in the marriage blogging community came as a total surprise to me, and it is a wonderful bonus to be able to “lock shields” with others with a similar passion to see marriages become all they can be. There are so many doing great stuff that I can only keep up with a fraction of the many great blogs that I have come across. It doesn’t come up much here, but my other calling from God is as a volunteer worship leader at my church. I’ve been doing that since high school - a lot longer than I’ve been involved in marriage ministry. I’m blessed to be in a church (Northlands Church near Atlanta) full of wonderfully talented musicians and full of people who love to pour out their hearts in worship. I also write music – mostly worship songs for our local church. I have an insatiable curiosity. I am fascinated by history. I love to delve into science and technology. I am plugged into news and political commentary pretty much every day, either online, on TV or on the radio. My family gets annoyed with me for reading every informational plaque in the museum. Oh, and I can’t resist a “cool map.” Of course I also love to learn about marriage. At any given time I have at least ten unread marriage books on my Kindle (and even a few in paper). I have a wonderful marriage and a wonderful wife, but we are far from perfect. I actually don’t think the perfect marriage exists, because there is always more: more intimacy, more passion, more selfless love, more trust and transparency – more of all the stuff that makes a marriage great. I make my share of marriage mistakes, but I’m thankful that I have a wife who is full of unconditional love for me. Sometimes I need Jenni to gently remind me of my own advice! I keep multiple lists of post ideas, which I add to weekly. These lists now run into many dozens of potential posts. If I had the time, which I don’t, I could write a post every day of the week - maybe twice a day. Actually, I finished the draft one year ago this month. Unfortunately it took me so long to write it that I now need to do a major amount of editing and revision. I don’t actually agree with some of what I wrote back when I began writing the book, which goes back about four years or more. (I can’t even remember exactly when I started working on it!) 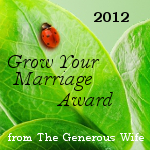 I have also written a marriage small group curriculum that goes along with the book. We have used it a few times in our own church. Some day there will be time to finish these projects. Hopefully this one doesn’t come as a surprise to any of you: I think Jesus is awesome and amazing. He is the reason I do this whole marriage thing in the first place. It is in learning to first be His bride that I have learned how to be a husband (think about that one). So there you have my true marriage blogger confessions. There are others I could offer, but these are the ones that came to me first. 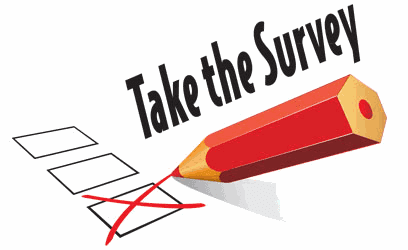 If there’s a question you’d like me to answer, please leave a comment. Others from the marriage blogging community are chiming in with their confessions. 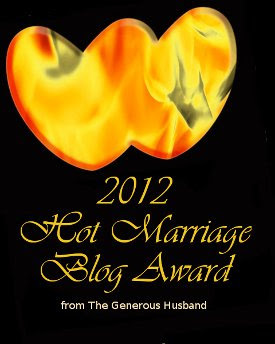 If you are a marriage blogger, jump on in. If I missed your confession post, please add your link in the comments. Do you want to be a GREAT husband or wife?!? Jesus called them together and said, "You know that the rulers of the Gentiles lord it over them, and their high officials exercise authority over them. Not so with you. Instead, whoever wants to become great among you must be your servant, and whoever wants to be first must be your slave-- just as the Son of Man did not come to be served, but to serve, and to give his life as a ransom for many." 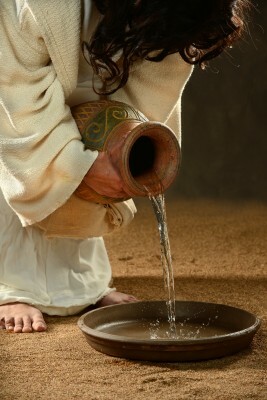 If I then, your Lord and Teacher, have washed your feet, you also ought to wash one another's feet. For I have given you an example, that you also should do just as I have done to you. Do I really need to say anything more? Is there any better place than your marriage to act on Jesus’ compelling call for us to serve one another? It's your turn: what do you think it means to serve your husband or wife? How have you served or been served by your spouse this week? 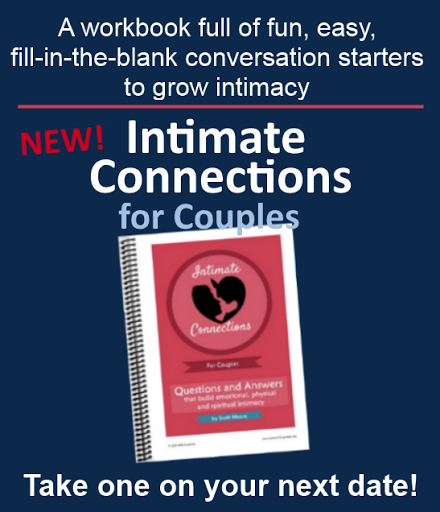 Just out: the April issue of "Pathways," my monthly newsletter dedicated completely to building the intimacy in your marriage. To preview the latest issue, "When Two Become One." What does it mean to live as one flesh?